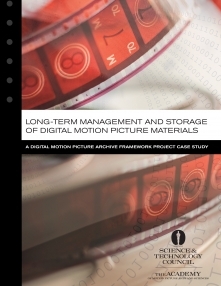 This case study documents the Council's experiences in researching, specifying, and building ACeSS, the Academy's digital preservation system. This YouTube channel consists of recorded NYC Meetups. Many recordings cover case studies of DAM implementations and related topics. Motorola Case Study: Marketing, DAM, & the Digital Supply Chain (Part 1 of 3) from Pro Coalitions on Vimeo. Motorola Case Study: Marketing, DAM, & the Digital Supply Chain (Part 2 of 3) from Pro Coalitions on Vimeo. Motorola Case Study: Marketing, DAM, & the Digital Supply Chain (Part 3 of 3) from Pro Coalitions on Vimeo. This archive includes case studies from a wide variety of industries. Presentations with audio files by professionals from leading sports leagues and organizations, including the University of Notre Dame, MLB, NASCAR, NBA, NCAA, NFL, NHL, PGA Tour, and UFC. Available for free from the Internet Archive. Information Management Best Practices: Volume I by Bob Boiko, Erik M. Hartman, eds.